Partners - Forerunner Technologies Inc.
“Empowered by Innovation,” expresses NEC’s commitment to empowering people and society through continuous innovation in every area of businesses, fueled by infinite passion for innovation and customer-focused spirit of collaboration. At Forerunner, we help our clients integrate technology solutions that keep costs down without sacrificing quality or service. With an extensive NEC product portfolio, we offer new and refurbished equipment, parts and peripherals. While new equipment is always an option, professionals know that refurbished telecommunications equipment is an extremely useful and cost-effective solution for businesses of all sizes. AVST delivers the industry’s most interoperable Unified Communications (UC) platform that brings best-of-breed voice, mobility and business process solutions to the enterprise. AVST frees organizations from the constraints of a closed, single-source UC solution, unlocking the full potential of their communications infrastructure. 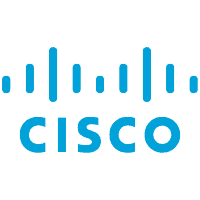 Cisco helps seize the opportunities of tomorrow by proving that amazing things can happen when you connect the unconnected. An integral part of their DNA is creating long-lasting customer partnerships, working together to identify our customers’ needs and provide solutions that fuel their success. DVSAnalytics designs, develops and delivers a robust set of workforce optimization and workforce engagement (WFO/WEM) solutions for Enterprises of varying sizes with particular strength in the government, financial, healthcare, and retail verticals, and with BPO (Business Processing Outsourcing) contact centers. DVS has over three decades of experience in the WFO/WEM space. During that time, DVS has developed a secure, dependable, and scalable enterprise-class WFO/WEM solution set that is fully interoperable with many of the leading unified communications providers including Avaya, Cisco, Mitel, NEC, and RingCentral. Powering more than 2 billion calls, chats and social messages a day, Mitel provides phone systems, collaboration and contact center solutions – in the cloud or on site – for more than 60 million users around the world. Flexible deployment options and 40+ years’ experience have allowed Mitel to become the fastest growing business communications provider in the world. At Forerunner, we can provide you with all peripheral requirements for your current converged, VoIP and cloud communication system. We have in stock everything from door phones to enterprise recording solutions. Give us a call or browse our store to find what you need. AVST – Offers open UC platform which does not constrain customers with a single vendor lock-in approach. Connect new and existing technologies; AVST frees organizations from the constraints of a closed, single-source UC. Ingate® – Develops firewall technology to enable global SIP- and WebRTC-based person-to-person communication to provide the best access for telephony, global real-time and unified person-to-person communication for everyone. SIP Print – IP PBX Call Recording, Call Accounting and Unified Network Managemet with SIPCare™ , call management platform removes performance and quality risks associated with Unified Communications. The SIPCare™ product is the first purpose-built solution to integrate monitoring, call management, troubleshooting and remote access tools into one unified solution for UC and the infrastructure it depends on. Trisys –Offers Replay, a family of quality digital call recording solutions at an affordable price to any business. Whether you are looking for T1 call recording, Analog (Station or Trunk), SIP(Station or Trunk), Trisys has the product for you including a Cisco integration! VidyoH2O for Google+ Hangouts – If you are looking to extend the reach of Google Hangouts than VidyoH2O is the place to look. Forerunner Technologies can deliver VidyoH2O and give access to users of H.323 and SIP Capable Video and Voice Conferencing Systems. Enable Google+ Hangouts users to meet face-to-face with people using business voice and video solutions from Cisco, Polycom, Lifesize, Avaya, Vidyo and others. VidyoH2O for Google+ Hangouts provides seamless interoperability with H.323/SIP capable video conferencing systems and IP PBX voice systems so that users can take full advantage of their existing infrastructure.